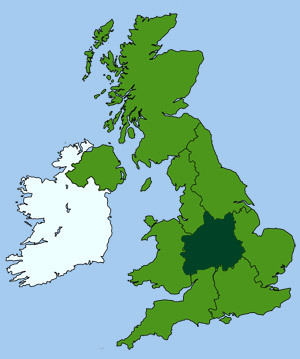 Located in the East Midlands and covering some 850 square miles, the county of Nottinghamshire is divided by the River Trent; the third largest river in England. The southern wolds and eastern regions of the county remain free from the heavy industrialisation of the north and remain largely rural and agricultural. 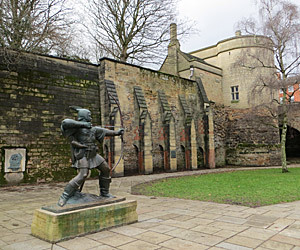 The city of Nottingham is internationally renowned for the ancient folk hero and outlaw, Robin Hood, who legend states once lived in the leafy depths of Sherwood Forest. The ancient Major Oak in Sherwood Forest is the largest in Britain and thought to be over 1000 years old. Once a Royal hunting ground, and although much reduced in size, there are still over 950 veteran trees covering the 450 acre site. The story goes that Robin and his merry men hid in an hollowed out oak tree in the forest. The most probable site for that oak tree is in Mansfield as the Major Oak would have only been a mere 200 year old at that time.